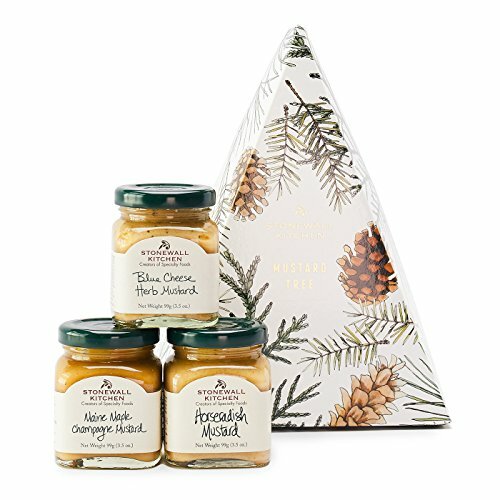 Spice up your gift giving routine with this zesty collection featuring three mini jars of our best-selling mustards. Friends and family alike will enjoy the robust flavors these savory condiments bring to sandwiches, dressings, dips and more. Ready to give, everything comes elegantly packaged in a festive, triangle-shaped box designed by our own in-house team to recall a snowy New England winter.